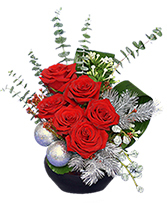 Black Utility Bowl, Wet Floral Foam, Red Roses, Baby Blue Eucalyptus, White Bouvardia, Silver Bells, Aspidistra Leaves, Silver Glitter Millimeter Balls, Silver Artificial Spruce On Picks. 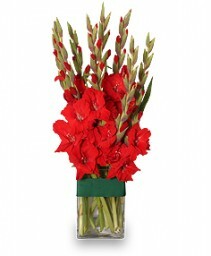 Tall Square Vase, Red Gladiolus, Emerald Green Ribbon I(Secured Around Vase)i. 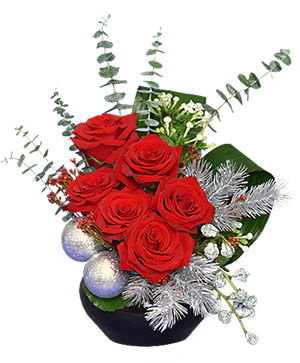 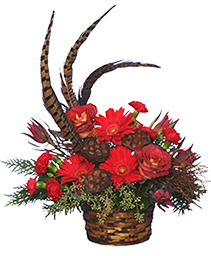 The CLASSICAL CHRISTMAS arrangement from GCG FLOWERS & PLANT DESIGN is one of the best last-minute gifts around and adds a fresh touch at holiday parties and get-togethers. 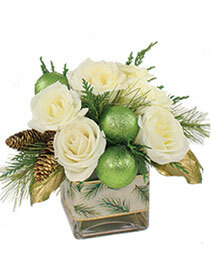 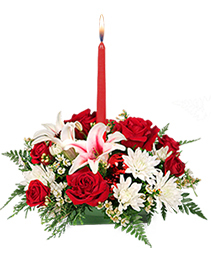 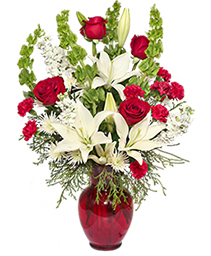 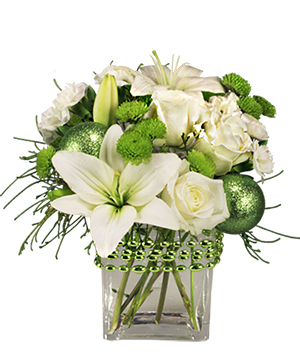 To order, call our shop in Cary, NC or send holiday flowers online 24/7. 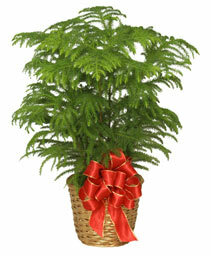 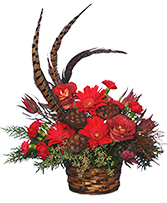 Potted Norfolk Island Pine, Basket With Liner, Red Ribbon With Gold Trim.